Let’s talk about the winter season. In today’s article, we are about to cover 5 stylish winter clothes to wear when you are out for a snowstorm selfie. Dressing for a frigid winter morning can be a hard thing, but I am here to help you out. Most women have their favorite essentials that they pull on every Winter season, sweater, skinnies, and boots. How about making some changes in the way you dress? I am talking about five different essentials, including bright knitwear, jeans, skirts, coats and jackets. How about making them on top of your list? I am not saying you should buy new stuff, sometimes all we need to do is to breathe new life into our old winter items. Use layers, wear floral print, metallic clothes are great for winter, and pastels do look amazing! Do I have your attention now? Hello my dear fashion ladies, I am here to show you my handpicked the best winter coats for women, featuring my favorite teddy bear coats, as well as heavy long duster coats, floor-length shearling styles, down coats, and many other must-try outerwear pieces. Anyway, it’s getting colder and you better scout your closet for warmer gear! If it happened so, you have nothing to wear, or everything looks dull and outdated, then it’s time to upgrade your look and buy some amazingly stylish and super warm coat. Check out my top outerwear picks that are ideal for women who want to stay cozy from mornings to evenings, from Mondays to Sundays! This article is about boyfriend jeans and my favorite ways to wear them this Autumn season. Frankly speaking, there is nothing hard creating a fabulous Fall look with boyfriend jeans. You need to feel relaxed and wear comfortable clothing. In this street style collection are gathered interesting outfit ideas for modern women. You can find here incredible combinations that are easy to copy in everyday life. Make sure to create a balanced look. Get inspired and let me know which one of these looks is your favorite. 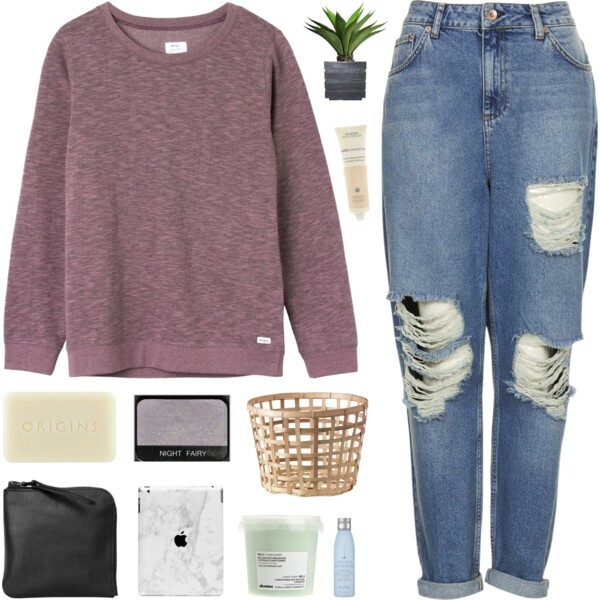 You can never go wrong with ripped boyfriend jeans and sweater combination. This is a safe combination that works for every body shape. This post shows you incredible ways how to make a bodysuit your number one garment for special parties. I am talking about fancy ways how to underline your personality and make you stand out from the crowd. You gonna be wowed to see lots of awesome clothing combinations that are easy to copy and wear. I am a big fan of shiny clothing, that’s why every style in this collection drives me crazy! Sheer black bodysuit in floral print should be covered with a blouse or jacket. Try this one with a high-waisted black mini skirt and OTK blush boots. The result may look sultry, but it’s worth giving a try! I think ankle boots will always look awesome with jeans. This combination will live forever and ever, that’s why you should know how to make it look right on you. In today’s article are gathered simple and easy to copy outfit ideas featuring jeans and ankle boots. 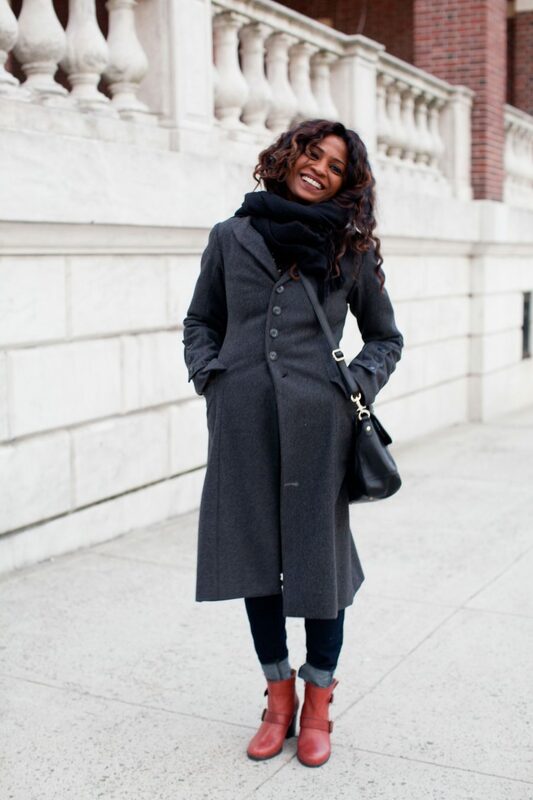 Frankly speaking, almost every jeans style looks great with ankle boots. This year we see well-forgotten trends that used to be seen on fashionistas everywhere around on the streets. I am talking about ripped denim, boot cut classics, regular styles, skinnies, boyfriends, leather-look jeans, as well as colored must-tries, etc. Th following ideas will for sure inspire you, just find the one and the only combination to copy this year. Black leather flat ankle boots look edgy and sophisticated. Try them on with black slim cuffed jeans and crop black tank top. Complete this grunge inspired combination with a heavy black coat and burgundy color knitted scarf. There is nothing wrong with wearing ankle boots with jeans. It’s a functional combination that works great during cold season days. The only problem you can face is a big risk to look short-legged. That’s why there are lots of interesting tricks to make this combination happen, no matter if you are short or long legged woman. Today’s fashion is full of great outfit ideas, that’s why I recommend trying denim with ankle boots. Classic blue regular fit jeans can be a perfect choice to be worn with leopard print Chelsea ankle boots. Make this combo more casual by adding a brown shirt and khaki olive green cargo jacket. Don’t forget to add aviator sunglasses to add a kind of special military touch. 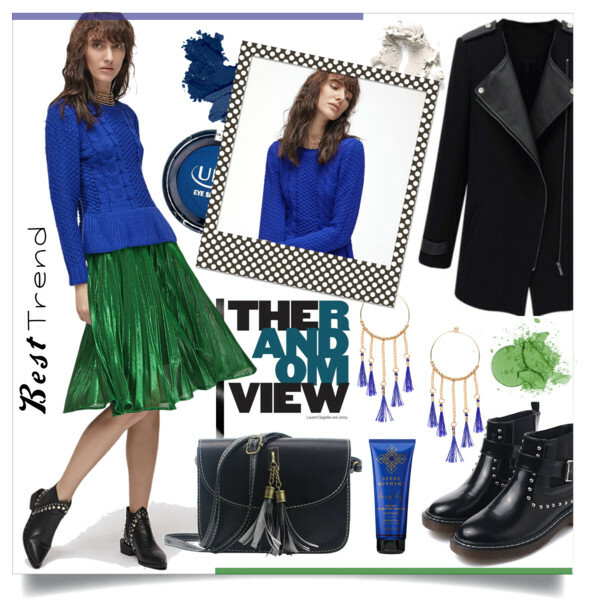 This article shows us great outfit ideas completed with mini skirts and ankle boots. This combination works well on many women, all you need is to find an appropriate top and footwear. Ankle boots are considered to be universal shoes, as you can easily combine them with pretty much anything. Of course, if you are plus sized with fat legs or an older lady, then you probably should avoid wearing this combination, otherwise, it will make you look provocative. If you are a young woman with slender legs, then you definitely should give this combo a try! A black pleated mini skirt looks flirty. You can wear it during Autumn months, just add black tights and black heeled ankle boots. Keep it dressy with a gray-white sweater and blush tailored coat. This topic tells you simple outfit ideas on what shoes you can wear with boyfriend jeans. Every woman owns at least one pair of jeans in her closet. This is a modern and stylish clothing staple which can be worn in different ways. Most of you imagine slim denim or skinnies when someone starts to talk about jeans, but, in today’s reality, many ladies prefer comfort over style. Yes, I am talking about boyfriend jeans. These denim bottoms are actually very comfortable and can be dressed up and down in different ways. I gathered simple streetwear ideas that can be seen everywhere around in New York City. The thing is, many women simply don’t know what footwear they can wear with these jeans. A classic denim looks pretty awesome with a glossy pair of snakeskin pointed-toe ankle boots. 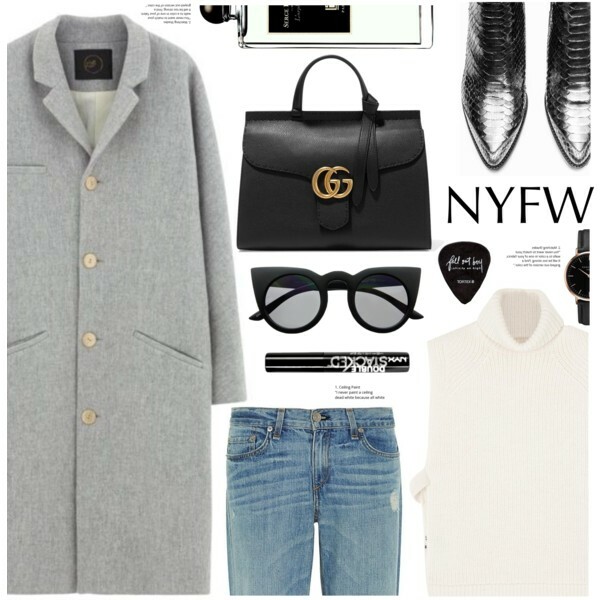 This is a classic combination, that’s why I recommend to add a sleeveless white turtleneck sweater, structured black leather handbag, black cat-eye sunglasses and gray wool coat. Here are presented simple and functional outfit ideas featuring pleated skirts and ankle boots. You should definitely give this skirt style a try. It represents lightness, femininity and spring season. Every woman gonna look incredibly airy and special. In this post, I am going to show you how to wear this beautiful garment in real life. Shiny green knee-length pleated skirt is an ideal choice to wear at cocktail parties. All you need is to pair it with a dressy blouse or a bright blue sweater (as seen in the image above). If you think it looks too much sweet, then you definitely should add black leather ankle boots and biker inspired black coat.